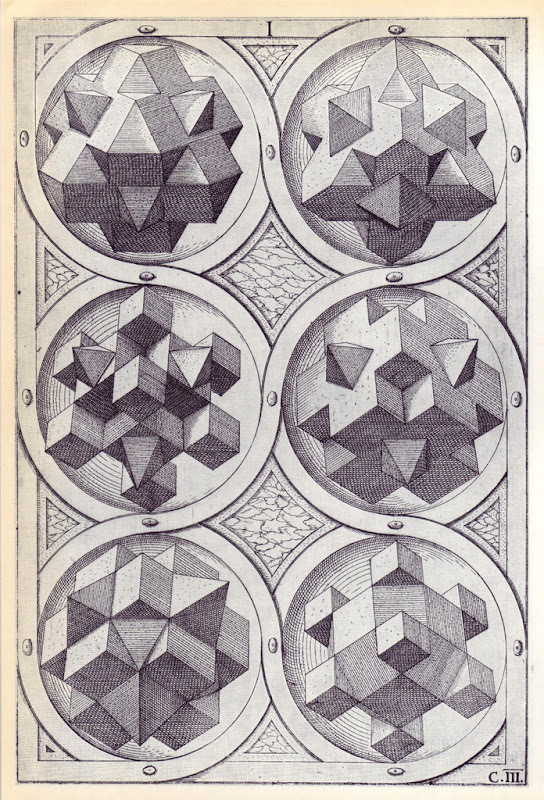 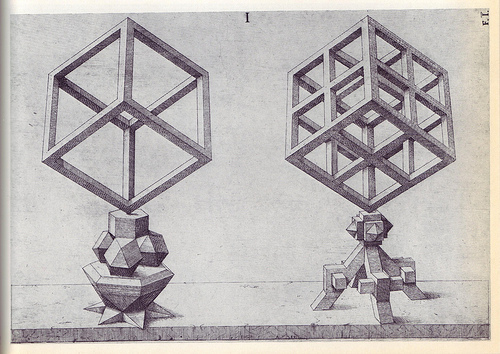 "Jamnitzer created an extraordinary collection of both regular and semi-regular bodies in his Perspective of Regular Solids (1568) which, as he explained in his title, was based on Plato's Timaeus and Euclid's Elements. 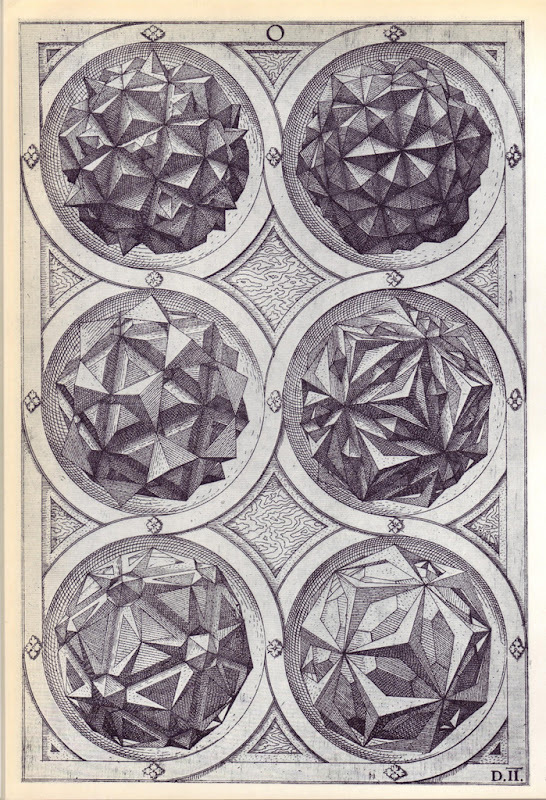 Accordingly, he associated the tetrahedron with fire, octahedron with air, hexahedron with earth, icosahedron with water and dodecahedron with heaven respectively. 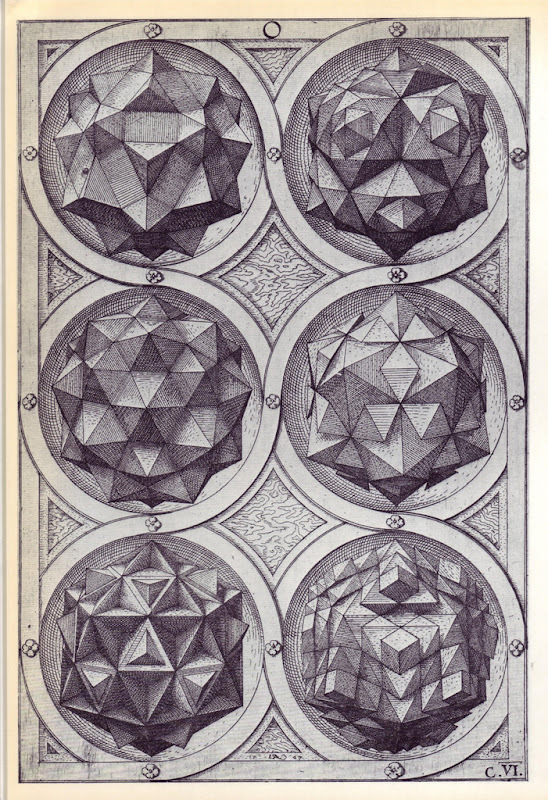 Using a "particular new adroit method never before in use" he provided six regular, six truncated, six stellated and six double stellated variants for each of the regular solids to create a total of 120 versions which, as he pointed out in his long title, was but an 'introduction how, out of these five bodies, many other bodies of various kinds and shapes may be made and found without end'."